Undeniably the most popular voice over internet provider across the world, Skype has clearly gone a long way evolving from being just another provider to ultimate holy grail in the VOIP industry. As on 2010, Skype commands an impressive 12.8 billion minutes out of the overall 413 billion minutes of international telephone traffic. In addition to this, Skype users generate 190 billion minutes of “on-net” Skype-to-Skype traffic to make this young company the fastest growing telecommunications behemoth. While there are hundreds if not thousands of similar VOIP providers on the internet, it’s interesting to note how this one brand has successfully created a niche for itself without really pumping in truckloads of marketing dollars. Quality: The VOIP market was always like a dollar store. You get excellent bargains, really cheap rates but equally cheap products. While the competition just spoke about how fantastic their rates were, Skype ensured quality of service. Of course VOIP quality is heavily dependent on how good the subscriber internet connection is, but by using a smart peer-to-peer technology, Skype delivers a better quality experience with an inexpensive, easy to scale architecture. Customer Focus: Conventional telecom companies are limited by their regional focus and therefore tend to provide services catering to very specific segments for example calling from US to India. Skype takes advantage of its global presence on Internet to create a ‘long-tail’ strategy, thus catering to hundreds of different segments of customers from across the world through one single product. Seamlessness: Skype was not the first-mover in launching features like Skype-out, Skype-in, video calls & conference calls. Though it did not bring any radically new features into the market, it ensured a continuous product evolution. It provided a seamless experience for every new feature on a simple, user-friendly interface and that’s what really makes the consumer happy. The extent of attention this Microsoft-Skype takeover announcement has gained in the tech/telco world is nothing short of the eyeballs garnered by the royal wedding in the recent past. On a tongue in cheek note, I would say that Skype is pretty much like the blushing, ravishingly beautiful young princess who has, with the culmination of this grand marriage, become the object of attention for all. The possibilities are endless and almost everybody is nurturing a great expectation. Analysts are already spinning out stories of how Skype integration can become a magic potion for Microsoft by countering Apple FaceTime on video-calling, countering Google +1 on social networking and supplementing its small-business cloud computing portfolio effectively with a telephony solution. As a telecom guy, I expect Microsoft to leverage Skype’s lead & speed to introduce even better path-breaking innovations in the consumer & wholesale telecom space. 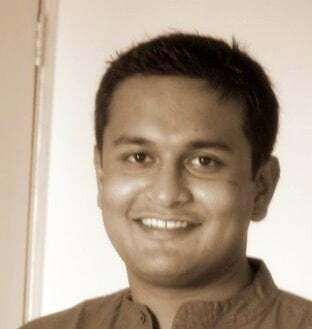 Preetam Dey is a telecom junkie and works as a strategic business development manager for carrier voice solutions in the Indian sub-continent region. He received his diploma in telecommunications management from the Symbiosis Institute of Telecom Management (SITM) in 2005.